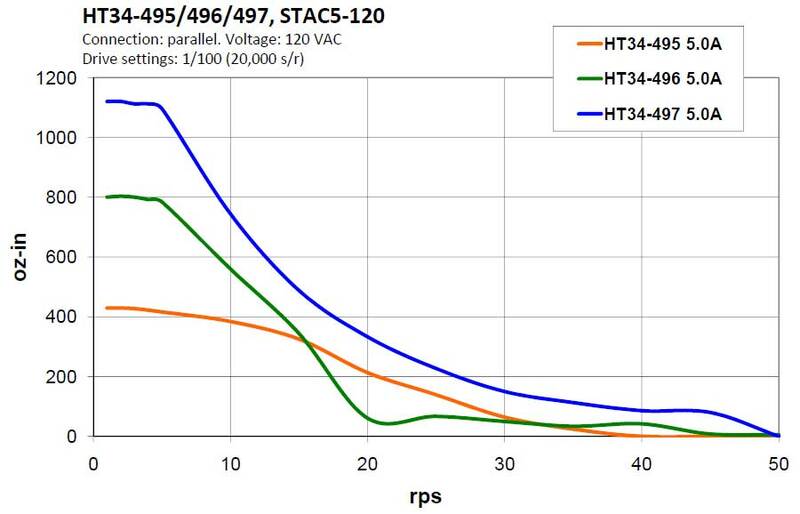 The STAC5-Q-E120 stepper drive employs sophisticated current control designed for optimal smoothness over a wide speed range. Anti-resonance, torque ripple smoothing, and microstepping work together to bring step motor performance to a new high. To complement the drive Applied Motion offers a specially matched set of low-loss NEMA 23 and 34 frame motors (see Related and Recommended Products below), all specifically designed with high voltage operation in mind. Power to the drive comes from single-phase 120 VAC, and the drive can output up to 5.0 A/phase (peak-of-sine) to the step motor. Protection features like over-voltage, over-temperature, and over-current prevent damage while running in adverse conditions. 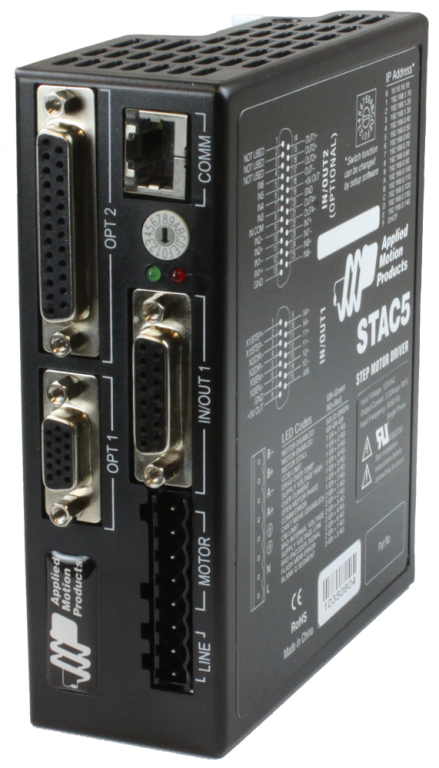 The STAC5-Q-E120 can operate in all of the same control modes as a STAC5-S drive (pulse & direction, velocity, streaming commands), plus it has the ability to run stand-alone Q programs stored in non-volatile memory. Q programs are created using the Q Programmer™ software, which provides multi-tasking, math functions, conditional processing, data register manipulation, and more features in a robust yet simple text-based programming language. Initial setup of the drive, including selecting the control mode, setting up the motor, and configuring other drive parameters is done using the ST Configurator™ software. 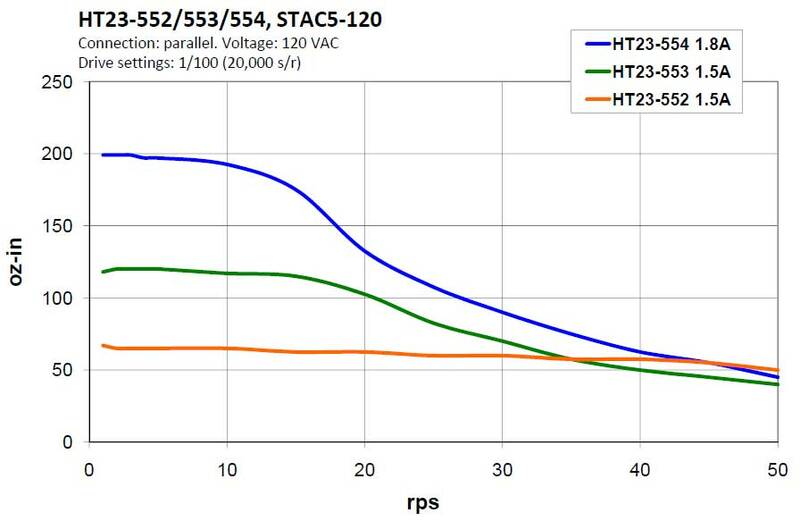 The STAC5-Q-E120 comes with an encoder feedback connector for applications that demand a higher level of position control than ordinary open-loop step motor systems can provide. Use our double-shaft step motors with incremental encoders and activate either Stall Detection or Stall Prevention in the drive. Stall Detection notifies the system as soon as the required torque is too great for the motor, which results in a loss of synchronization between the rotor and stator, also known as stalling. Stall Prevention automatically adjusts motor speed to maintain synchronization of the rotor to the stator under all conditions. This unique feature allows step motors to operate in a much broader range of applications than previously possible, such as torque-control. The Stall Prevention feature also performs static position maintenance, which maintains the position of the motor shaft when at rest. Additionally, the inclusion of the optional encoder allows the motor to be precisely homed to the index (marker) pulse.